History repeats itself. That’s why it must never be forgotten. History is in the making due to the administration’s “zero tolerance” policy that separated thousands of children from their parents at the U.S.-Mexican border. It is a cruel injustice and human rights abuse against our Constitution and international law. It will live on in history as a horrific act and it reminds us of other repressive crackdowns and inhumane regimes that have resulted in movements of asylum seekers and refugees. There is no tale more powerful than a child’s own account of escape from dangerous circumstances they don’t understand. “A Refugee’s Journey: A Memoir” by Walter Hess recounts his experience as an 8-year-old boy fleeing Nazi Germany with his family — upstanding German citizens who happened to be Jews. His boyhood recollections of how it all began are insightful and chilling: from suddenly being shunned and belittled in school, encountering “No Admittance” signs, being targeted in broadcasts of new doctrines and laws designed to label, separate, discriminate, and attack Jews and other “undesirables.” Reading his story constantly reminded me of the religious and ethnic persecution driving many refugees today, some to the U.S. border. Walter’s father was taken to Dachau and later released, traumatized. On the cusp of WWII, with great difficulty, the Hess family managed to escape, leaving relatives, friends, and everything behind. They fled to Amsterdam, and eventually to America, but in between to a ranch in Ecuador. When Walter’s little brother went missing for a day, his mother was frantic, sobbing in terror. I thought of our own refugee families, and how they belong together. The separation of children from their parents is one of the cruelest acts imaginable. Later, in the Bronx, Walter’s parents eked out a meager existence while trying to learn English and find work. Still traumatized and broken, they endured poverty and hardships. When grandparents “Oma” and “Opa” needed money to escape, Walter’s parents couldn’t raise the funds and were powerless to save them. And so they did what parents do: they carried on for the future of their children. Again, I thought of America’s refugees, desperate for survival and their children’s future. Often in great peril, they left their relatives and homes, only to encounter insurmountable obstacles intentionally placed in their path by our own government. The numbers don’t add up. “Clearly, this is gross incompetence and purposeful chaos,” Governor Cuomo said of inaccurate lists and incomplete travel arrangements. Some children were not reunited with their parents due to various government errors and excuses, in secrecy and without oversight of details and numbers. The government’s court filing July 26 stated that 1,442 families have been reunited with children 5 and older, and another 378 children were released under “appropriate circumstances” to a friend or family member, were previously released, or were now 18. The government claimed it met the deadline because the remaining 711 families were not “eligible” to be reunited. Parents of 431 children in government custody were deported, according to Matthew Albence, the chief of the Immigration and Customs Enforcement (ICE) division. The ACLU said that many of the parents were pressured to sign reunification waivers or deportation papers that they didn’t understand. “The only deadline they met is their self-defined deadline,” ACLU lead attorney Lee Gelernt said of the “inhumane” policy resulting in the problem. 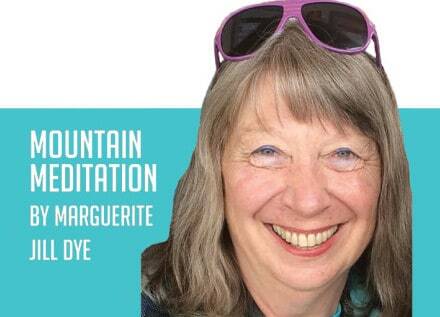 Marguerite Jill Dye is an artist and writer who divides her time between the Green Mountains of Vermont and Florida.